ocation: Less than 800 m from Army Temple, Hotel Lavanya Retreat is 1.5 km from SNT Bus Stand. The hotel provides a mesmerizing view of the mountains.While you are in Gangtok, do visit Sikkim Himalayan Zoological Park and Enchey Monastery Park, both within 7 km. 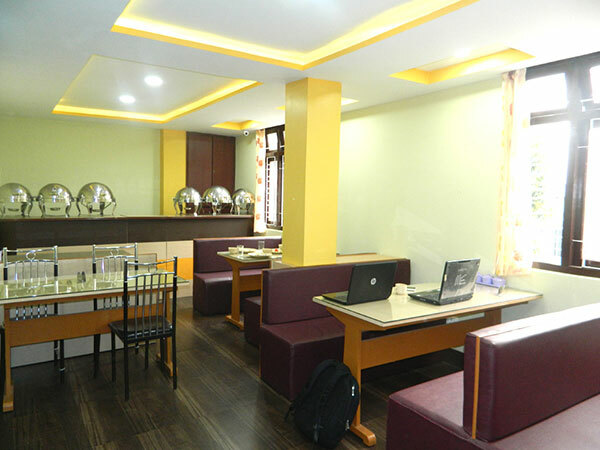 Room Amenities: The hotel has a total of 12 rooms into diamond and ruby category. Some of the rooms offer a view of the mountains. All the rooms have attached bathroom with hot and cold water supply and basic bath amenities. Doctor on Call, Backup Generator, Breakfast Services, Security Guard, Currency Exchange, Laundry Facilities, Travel Counter, Family/Child Friendly, Parking, Room Service. Iron/Ironing Board, Wakeup Calls, Toothbrush/Razor on Request, Air Conditioning Room, DVD Player, H/C Water, Television Room, Cable/Satellite TV, Attached Bathroom, Bottled Water in Room. User reviews for "Lavanya Retreat Hotel Gangtok"